This exciting two day film festival is open and accepting submissions to celebrate and award filmmakers, focused on women in prominent cast and crew roles. 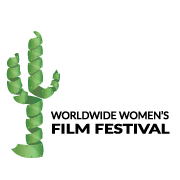 PHOENIX - May 23, 2017 - PRLog -- Kim Huenecke and Eva Louis are excited to announce the creation and launch of Worldwide Women's Film Festival, which will be held Friday and Saturday, February 9 – 10, 2018 at the Harkins Shea 14 Theatres, located at 7354 E Shea Blvd, Scottsdale, Arizona 85260. The two-day festival will include on day one a grand opening event with a social hour, feature film, and after-party for attendees. On day two, two theatres will be running from morning to night accepted film submissions to the event. Worldwide Women's Film Festival educates, supports, and empowers women in the collaborative endeavor of filmmaking while we shine a light on women's stories and diverse experiences. Qualified films will have women in at least one key creative role: Writer, Producer, Director, Cinematographer, Editor, and Composer. Also for consideration will be films with story lines focused on women and/or films with women lead roles. The Awards list, subject to change, will include the following: Best Feature Film, Best Short Film, Best Documentary Feature, Best Documentary Short, Best Student Feature Film, Best Student Short Film, Best Student Documentary Feature, Best Student Documentary Short, Best Actor (Female), Best Actor (Male), Best Ensemble cast, Best Director, Best Web Series, Best Horror, Best Thriller/Action, Best Animation film, Best Sci-Fi, Best Editing, Best Cinematography, Best Visual Effects, Best Original Music Score, Audience Award – Feature, Audience Award – Short, and Best Music Video. Kim Huenecke's vision to help support and promote women in film was the idea that helped to bring this festival to reality. Along with the business and organizational support from Chronic Behavior LLC, local and regional businesses, and other film community members, the festival undertaking will be focused on industry growth, education, and promotion of others. Connect to the website www.wwfilmfestival.com to receive updates and new information as it becomes available. KIM A. HUENECKE, FESTIVAL CO-FOUNDER … is an actor known for her work in the local film community with several short films, feature films as well as projects that are planned for release in 2017 and Dark Dignity which premiered in Jan 2017. She volunteers in the local community working with other local film festivals and women's organizations. She is an advocate for others and loves to highlight the good things that are happening in the community. EVA LOUIS, FESTIVAL CO-FOUNDER … is a producer, writer and actor known for her work in the local film community with several short films, feature films as well as projects that are planned for release in 2017 (Chained, Desperado Noir, The Last Responders) and Dark Dignity which premiered in Jan 2017. She has specialized in social media, marketing and promotions of artists and individuals in film, fashion, arts, music, and entertainment. Eva works with several film festival systems as well as entertainment platforms with evolving connections in the industry nationwide. In addition to her work in film and marketing, Eva works with Phoenix Fashion Week and is also on the board of directors for Arizona Apparel Foundation (non-profit). She is president of Chronic Behavior LLC where her team focuses on supporting clients with business strategies development, marketing plans and implementation, promotion campaigns, branding development as well as personal coaching. She supports clients involved in music, film, venue management, charities and a plethora of other fashion, music, and entertainment organizations.